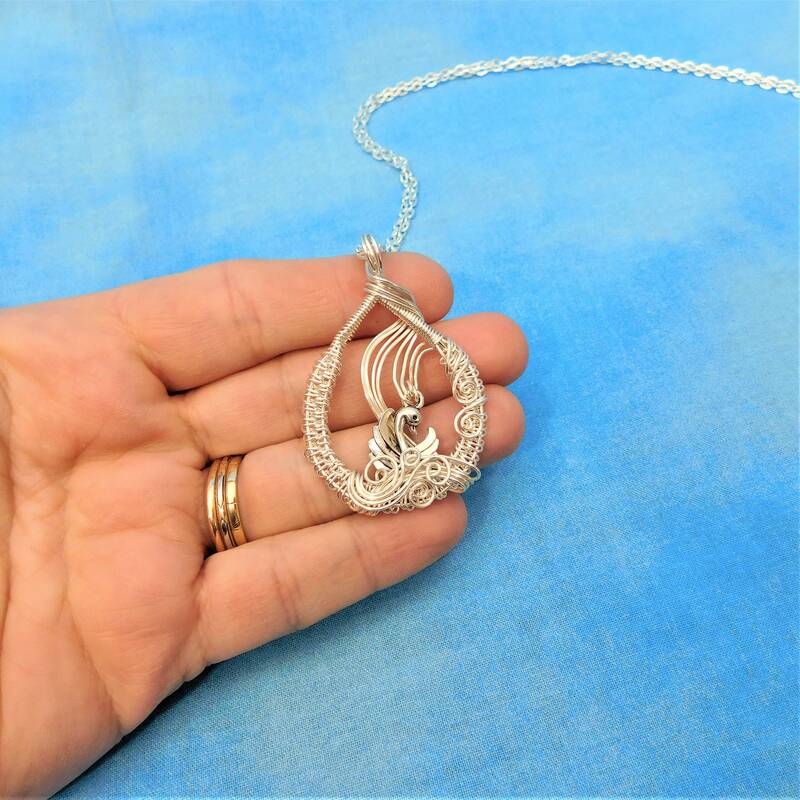 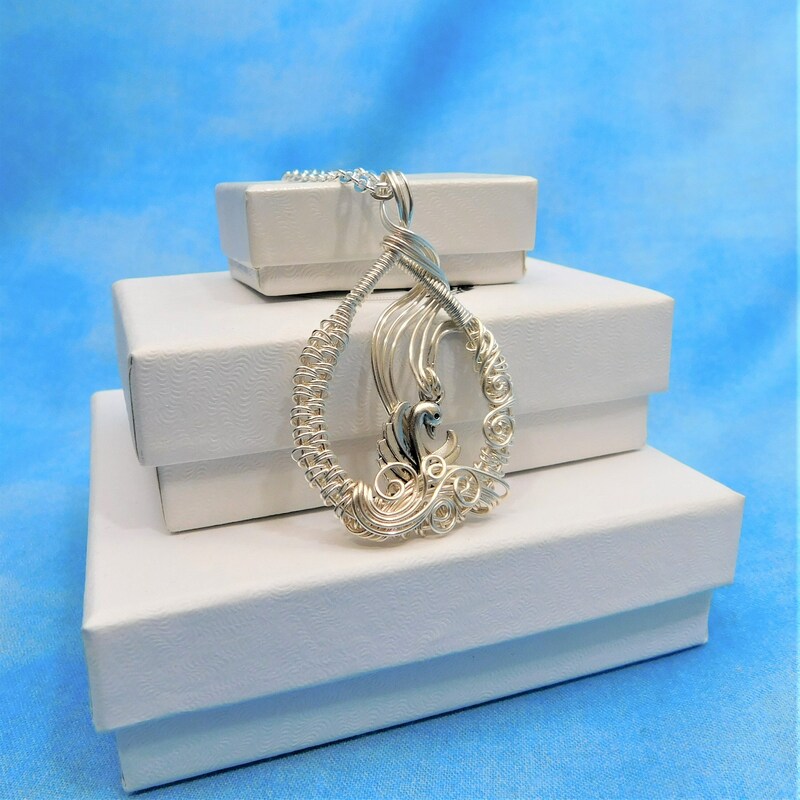 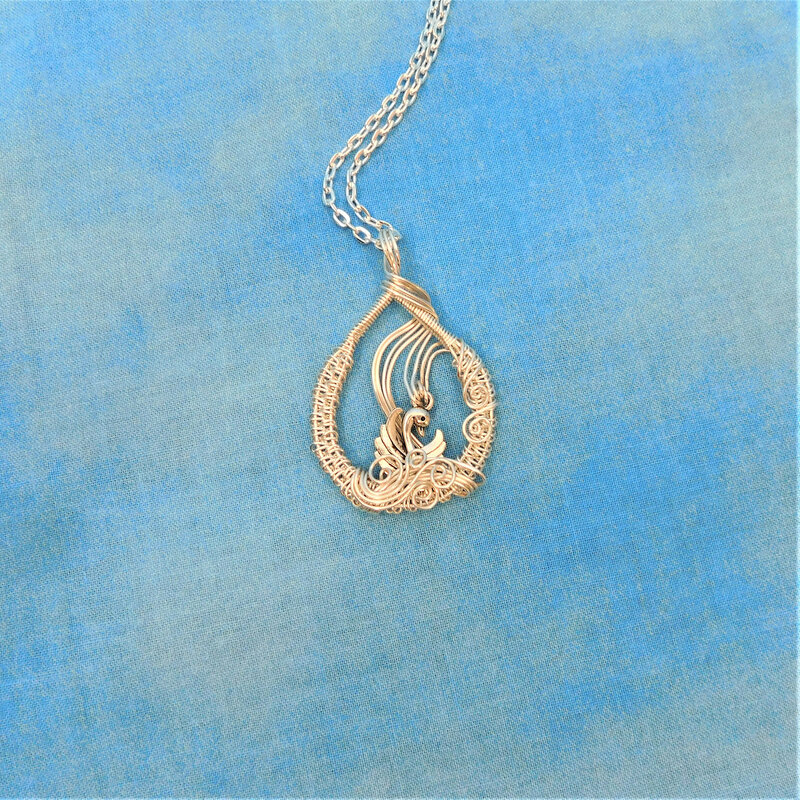 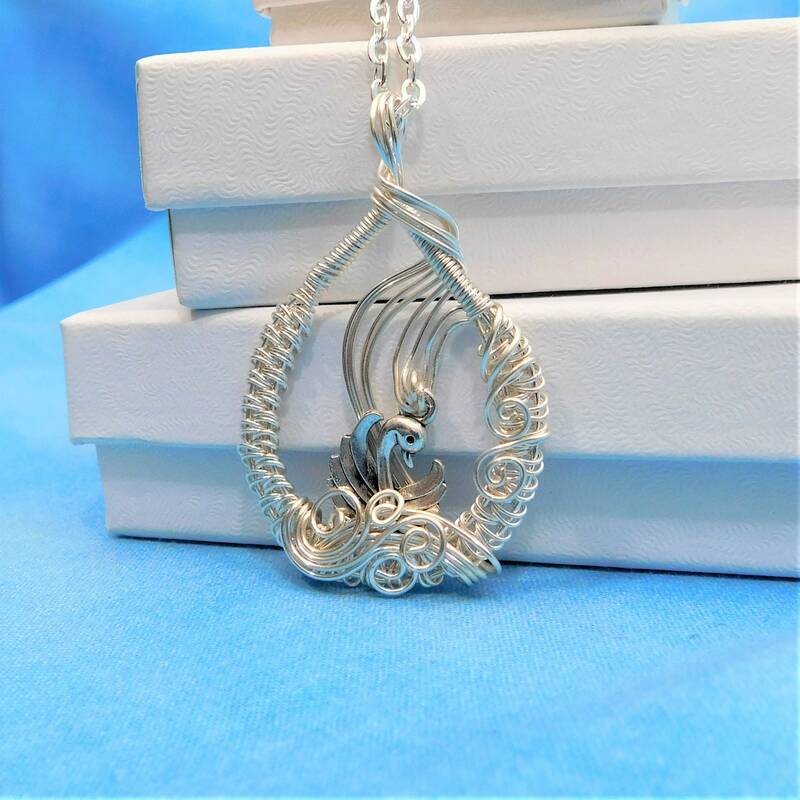 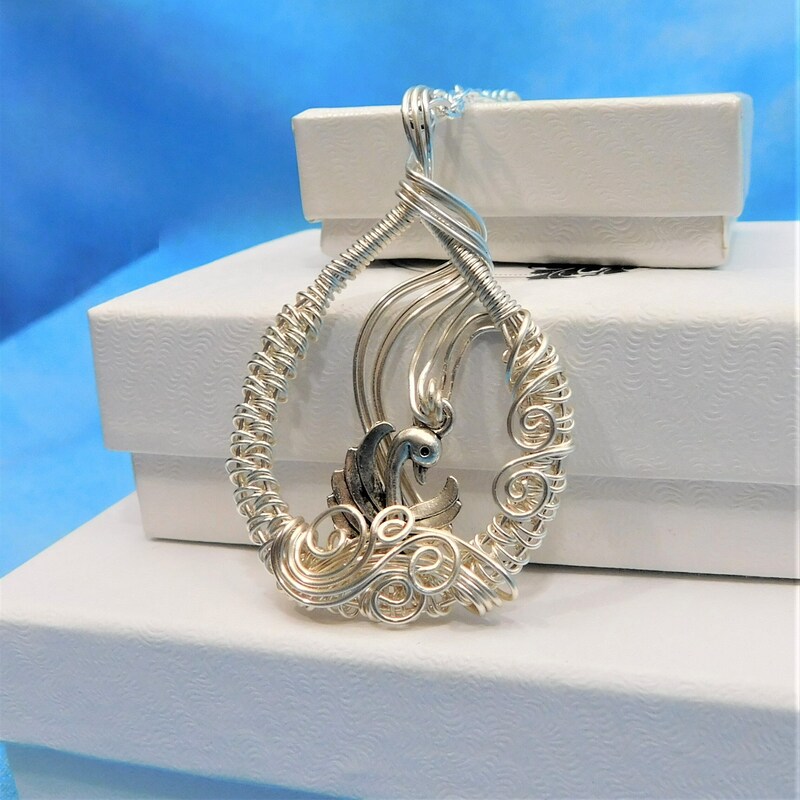 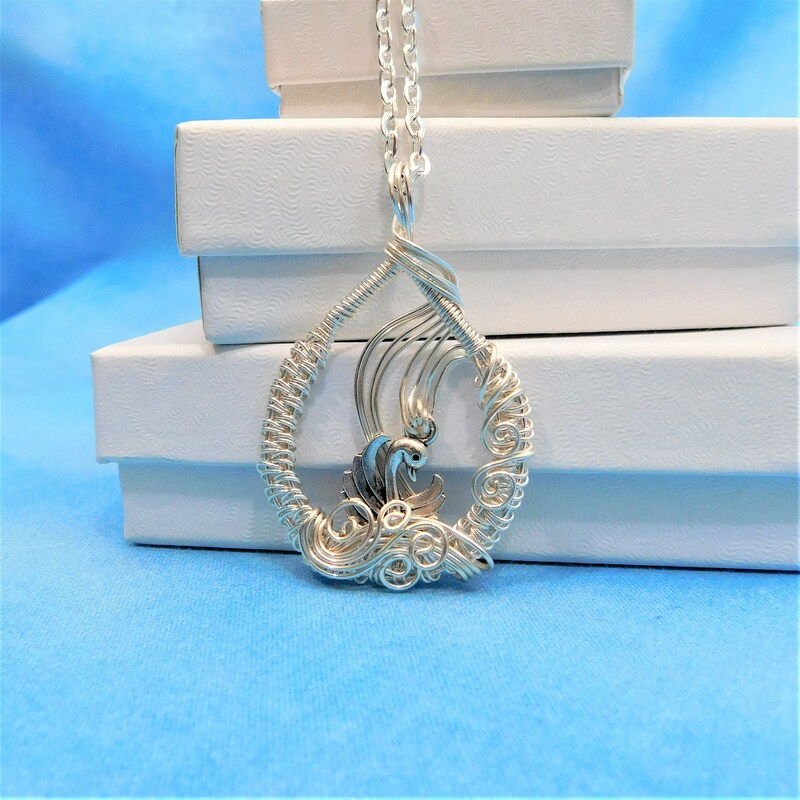 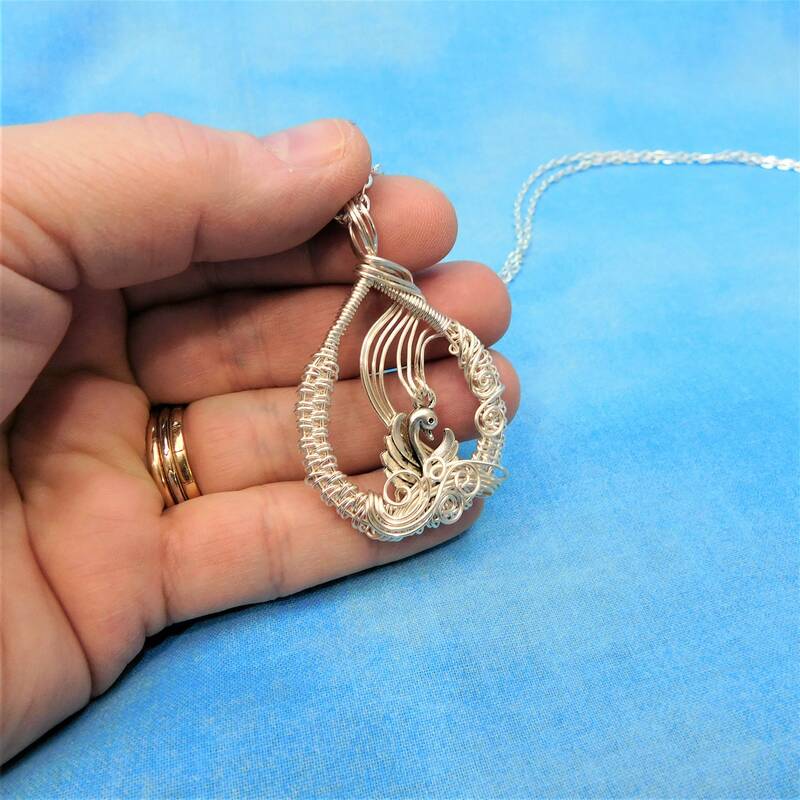 Non tarnish fine silver over copper wire is hand woven and sculpted to frame a silver swan, creating a graceful pendant style necklace. 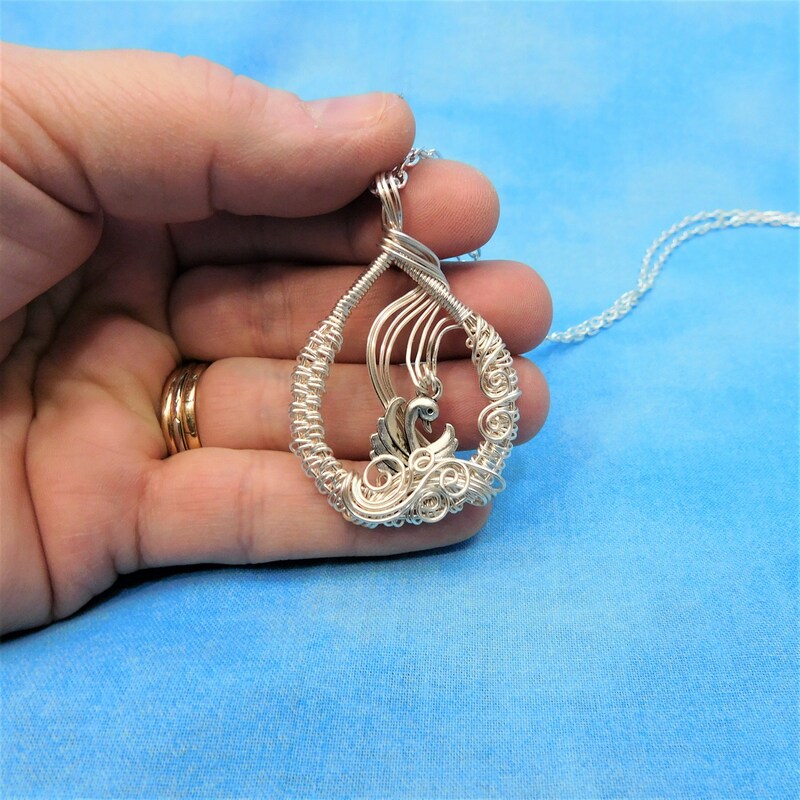 The sweeping motion of the wire simulates waves upon a windy lake, creating your own little work of art. 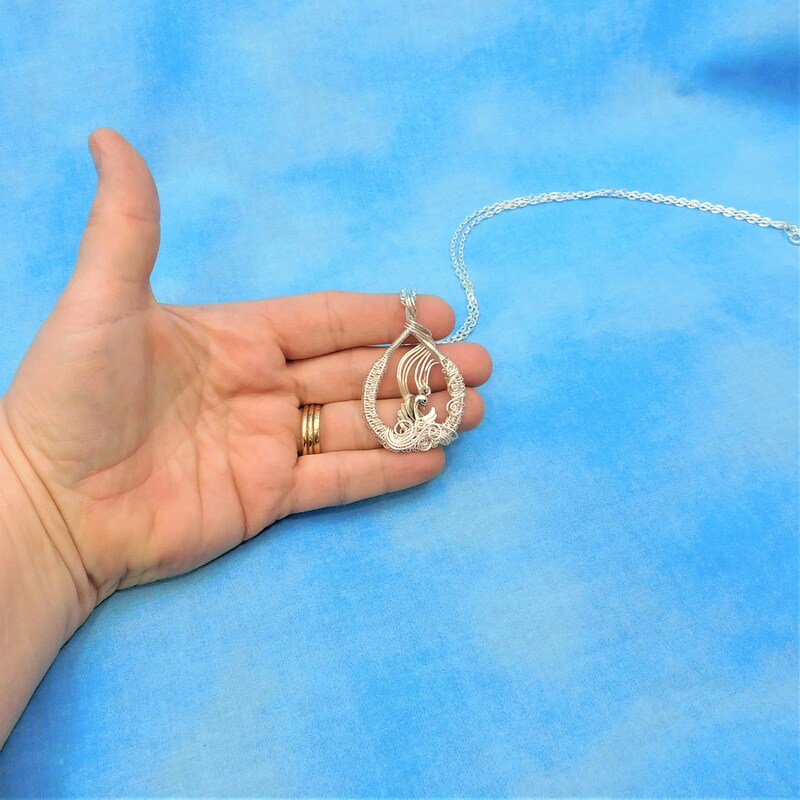 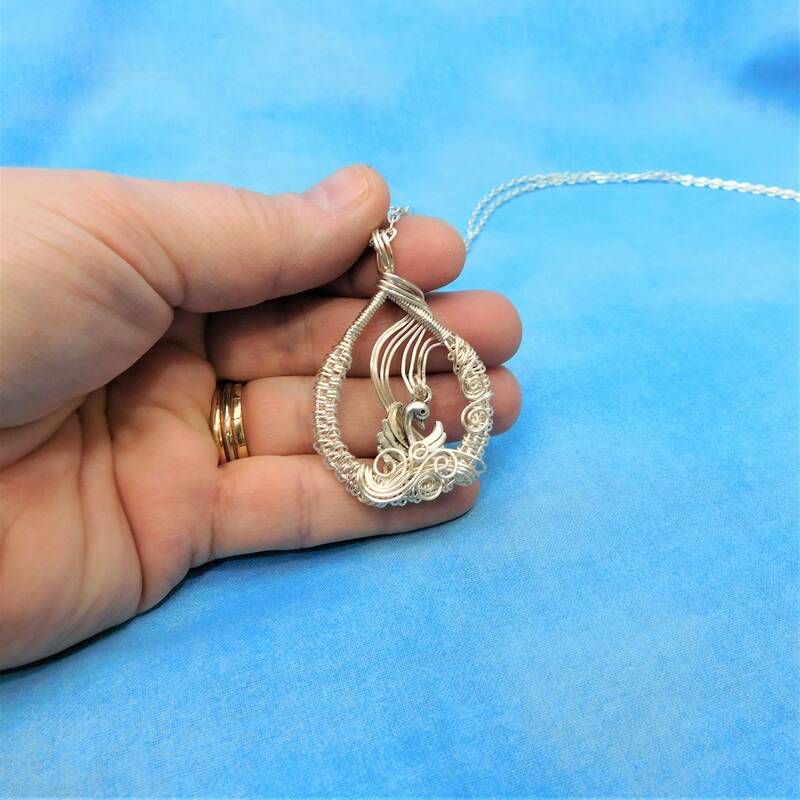 The pendant measures 1 1/2 inches tall by 1 1/4 inches wide and comes with a FREE coordinating chain with lobster claw clasp, measured to your preferred length.